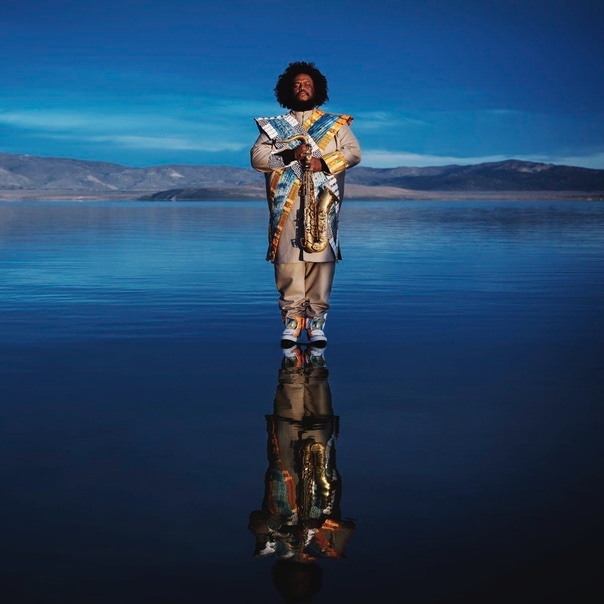 The impact of Kamasi Washington’s 2015 debut, The Epic, has been so great that his previous releases seem like they’re from an alternate reality. The three-hour magnum opus’ put the Los Angeles saxophonist and composer in a league of his own with cinematic grandiosity and social relevance. Last year’s Harmony of Difference EP provided an appropriately reserved counterbalance, but the question remained as to how his next LP would compare to The Epic in its scope, depth and consistency. Double-album Heaven And Earth avoids overplaying its follow-up status by extending its themes into Washington’s outlook and introspection, elaborating on his established instrumentation in pursuit of personal and communal growth. The openers for Earth and Heaven, “Fists of Fury” and “The Space Traveler’s Lullaby” contrast militaristic orchestra hits with angelic modulations, mirroring the material and spiritual aspects of consciousness. Patrice Quinn’s sobering delivery of empowering lyrics in a rousing rendition of a kung-fu movie theme couldn’t seem farther from a mesmerizing symphonic ballad, but Washington connects the dots with his spellbinding melodies and meticulous arrangements. Heaven And Earth subverts linear narrative, moving out from under the shadow of its predecessor and allowing its familiarly dense instrumentation and arresting dynamics to connect the inner and outer world. It plays like a two-sided coin. Both parts—over an hour long by themselves—provide a compelling experience. “Testify” and “Journey” center around themes of love and peace. Each sports a gospel undercurrent as Quinn’s voice ripples through the former’s tension-filled chord progressions, jazz fusion leanings, and the latter’s shimmering organ support. However, the Earth cut details Washington’s response to the “love returning” from the outside, while its Heaven counterpart reveals the inner peace he finds in the midst of turmoil. These ventures outward and inward coincide with his increased comfort within the mighty sonic pallet he has created. Though his already massive array of musicians has only increased with the addition of symphonic horns and added strings, “Connections” shows Washington’s increased confidence of integrating massive orchestrations into intimate foundations. This juxtaposes ethereal smooth jazz, complete with wah-wah guitar strains, with a choral refrain straight out of the John Williams handbook. Similarly, “Show Us the Way” allows the choir and orchestra to follow the synchronized up-tempo swing hits of the song. This track provides an aggressive, percussive solo by pianist Cameron Graves as it gradually descends into beautiful discord, with the choir providing modulative unity in the midst of a joyful noise. 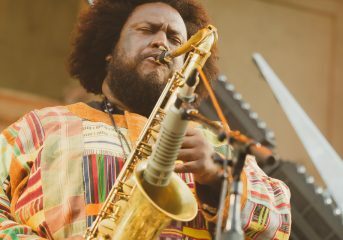 Kamasi Washington pushes past the conventions of jazz without embracing the avant-garde, making for intelligent, yet accessible experiences. Brandon Coleman’s futuristic vocoder lead guides “Vi Lua Vi Soul” through layers of spacious synth and syncopated percussion, while the song’s verses divulge into improvisational abandon. Washington never shows much in the way of technical prowess during his solos, preferring to toy with head melody rather than express whatever he wants over the chord changes. This does make for some underwhelming moments on cuts like “Street Fighter Mas,” especially when compared to the much more emotionally charged delivery of trombonist Ryan Porter and trumpeter Dontae Winslow. But the song still shines with drummer Tony Austin’s sultry funk halftime and Miles Mosley’s heavily processed bass. Even as “Can You Hear Him” undercurrents free-flowing swing with looming symphonic spires and a brilliantly dissonant keyboard solo, it remains true to its roots both rhythmically and melodically. In spite of his massive list of contributors, Washington can still keep his work within the realm of jazz standards. His reimagining of Freddie Hubbard’s classic “Hubtones” imparts a Pat Metheny-esque straight-eighth fusion, but Kamasi’s shredding solo evokes the bebop legends, along with Austin’s explosive solo masterfully commingling with Graves ascending sticcado octave stabs. 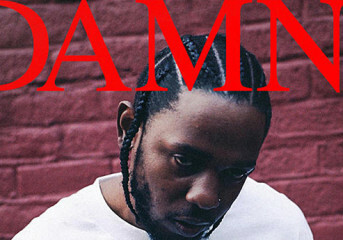 The more nuanced cuts on this album translate just as effectively, with the rhythm section of “Tiffakonkae” seamlessly transitioning between straight-ahead swing and funky shuffle, and the Afro-Cuban-influenced “Song For the Fallen.” The latter leaves bassist Thundercat more than enough room to work his magic. Instead of attempting to one-up himself, Washington explores more personal territory this time, effectively tailoring the end results to his own worldview. “One of One” ends a multifaceted appraisal of the world’s broken beauty with a poised sense of direction and idealism through heralding trumpets and celebratory Latin jazz. “Will You Sing’s” passionate orchestral and choral layerings elevate a suave half-time shuffle to an epiphanic catharsis. Those who hoped for an overt departure from The Epic’s sound won’t find it here. 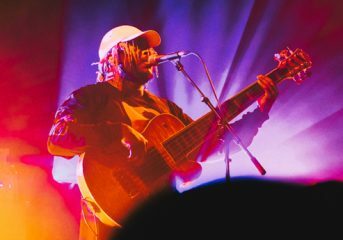 But Heaven And Earth shows that Kamasi Washington has only scratched the surface of where the style he has found can still take him.